Additional testing is required in order to receive endorsements to operate certain types of vehicles. Just like obtaining a regular license, applying for an endorsement means passing a written test and/or demonstrating your driving skills. There are no federal standards in place for on-the-road commercial driver training. The Federal Motor Career Safety Association (FMCSA) only requires CDL applicants to pass the knowledge test and skills driving test along with passing fitness, medical and other required tests. Individuals aiming to operate longer-combination-vehicles, however, are required to receive training in driver wellness, driver qualifications, hours of services, and whistleblower protection. Applicants can better prepare for the knowledge test by reading the Hawaii commercial driver’s license manual, which contains important information that will be covered in the written tests. According to the U.S. Bureau of Labor Statistics, the average annual salary a commercial truck driver in Hawaii makes is around $43,760. This amount is on the high side in terms of trucking salaries around the U.S. However, this can still increase or decrease depending on the industry you plan to work in. According to the Bureau, there will be an increase of 21% in jobs within the next decade, which can lead to higher stability for those who are already working in the trucking industry. Aside from the high salary, there are also other advantages in having a trucking career in this state. Know of any other CDL schools in Hawaii that are not shown on this page? You can submit them to us by using our contact form. When you send in a submission, please include the name of the business, phone number and address for it to be considered. The process of getting a commercial driver’s license or CDL in Hawaii can be a very easy process provided that you have prepared the state and federal requirements early beforehand. In order to do so, you will need to study the Hawaii CDL Manual which contains the necessary information as to acquiring a license in this state. 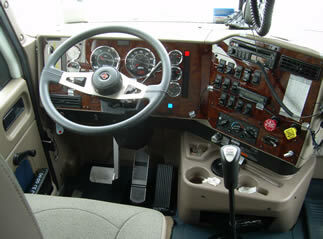 There are some variations however between acquiring a truck driving license from the mainland and from the islands. This article summarizes the actual requirements and procedure in getting this license. To get a CDL in this state, you will have to comply with some general state and federal rules in the US. The first is that you have to be at least 21 years old in order to drive a commercial vehicle. Although the mainland allows those who are 18 years old to acquire this license, the state of Hawaii does not do so. You will need to wait until you turn 21 in order to apply for this type of license. 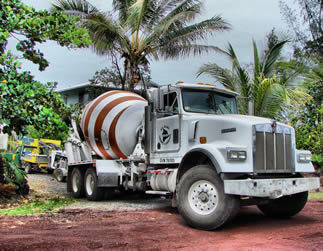 The Hawaiian CDL license is valid in any of the islands in Hawaii and it is valid for up to 6 years. You will have to renew your medical certificate however, every 2 years just as in the mainland. Aside from this, an applicant must also first be knowledgeable about truck driving before he can be allowed to obtain a learner’s permit. Hence, the applicant should study the Hawaiian CDL Manual first before taking the written exam. The written exam costs only $15 to take. The manual contains all of the necessary information that one has to learn about commercial driving and it also shows the areas in which he will be tested during the road test. The applicant must be able to pass the written test and to pass the necessary documents before he can be granted a learner’s permit. Once the applicant acquires the permit, he should then try to learn as much as he can about actual driving. This means that he has to practice driving in the type of commercial vehicle in which he is applying a license to. He also has to be accompanied by a licensed individual while he is driving. When his learner’s permit expires or before it does, he has to go to the DMV office and schedule a road test. The applicant must submit a DOT medical certificate, the result of his visual test, his social security number, valid IDs, proof of residence, and pay the corresponding fees in order to acquire a CDL. Getting a CDL in Hawaii is fairly easy once you know what is required during the application process. If you can comply with the requirements early on, you will be able to pass through the examinations and the screening processes much faster than you can expect. You only need to make sure that you have the necessary qualifications in order to apply for the learner’s permit and that you study the manual carefully before the exams. It is common for one to attend one of the truck driving schools in HI in order to learn the basics of operating a semi-truck. Classes will help you get the skills required for the job, with time behind the wheel of a tractor-trailer along with classroom knowledge based instruction. Many training facilities have partnerships with trucking companies and can help their graduates find jobs upon receiving their license. – Be at least 21 years of age.